Sometimes taking one step forward can make a huge difference. Instead of remaining at arms length, one step can cross numerous boundaries of personal space and move you into a zone of great importance – this is true in romance, in fighting, in conversation, and in preaching. Beginning preachers, and some that have preached for years, tend to preach their message at arms length. Some do so by some sort of conviction, others more unawares. They study and prepare, but it is all about the notes. From the Bible to the notes to the people. Arms length. Somehow there is a nervousness about this thing out there called the message. The preacher is anxious about saying the right words and that anxiety sometimes shows. Even without showing overtly, it does leave the message somewhat flat, just about the words. But one step forward can make such a difference. If the entire process of Bible study, message preparation and delivery can all be brought inside the personal space, the preaching is very different. Instead of something the preacher is straining to not forget, now the message comes from the heart. Instead of preaching being truth preached by a personality (often a stilted personality trying to remember the message), now the message can be truth through personality. Instead of a message being handled at arms length from the Bible text to the listeners, via the notes of the preacher, now the message comes through the preacher with the force of the life transforming power of the Word – clear and unhindered. I am not really writing about notes. More about whether the Bible is a curiosity and data source, a professional tool, or a personal treasure from a God who moves intimately into our personal space to wreck our self-absorbed worlds, bring about massive transformation and a deep intimacy. I am suggesting our message preparation should be a unique experience for each of us, rather than following the checklist of someone else’s model. I am saying that our delivery should come from the totality of a gripped heart and life in transformation, rather than being a mere transfer of information from notes to listeners. It’s hard to pin down exactly how one message can be preached at arms length, while another comes through the heart of the preacher. Yet as a listener it is usually not so hard to tell the difference. Well said. Gonna try to remember this as I take the pulpit tomorrow. Peter, do you think it is better not to use a pulpit then? I appreciate your thoughtful article, Peter. 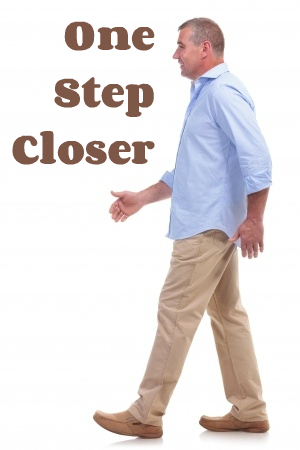 Your speaking of taking a step forward reminds me of Galatians 5:16 & 25 (NIV). I think the challenge of walking in the Spirit is not unique to preaching. I work as a caregiver in a facility for men with traumatic brain injuries. I can deal with them at arms length, as if my interactions with them are merely tasks I must complete, or I can relate with them as a disciple of Jesus, remembering that I am Christ’s ambassador and encouraging them to be reconciled to God. Of course this cannot involve actual preaching (which wouldn’t be fair to a captive audience.) It’s more a case of, “Preach the Gospel at all times and when necessary use words.” This is certainly not always easy to do properly, any more than preaching to or pastoring people is easy. The only way I can ever accomplish it is by learning to live, or walk, in the Spirit.